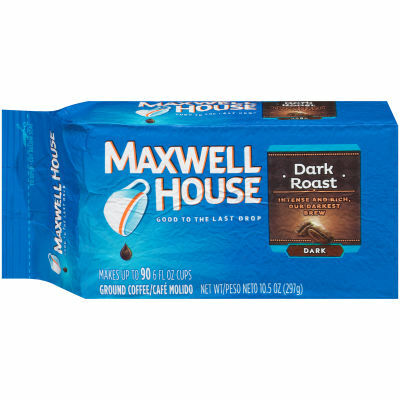 Maxwell House Dark Roast Ground Coffee - Maxwell House Dark Roast ground coffee features the delicious taste of dark roasted beans. Its taste is rich and vibrant, to brighten up your morning so you can greet the day. Intense and Rich, Our Darkest Brew - For a great flavor hit, opt for this Maxwell House Dark Roast ground coffee. If full-on, rich taste is what you crave, this is the brew for you. It comes in a vacuum-packed bag to lock in its great dark roast taste.